Evolution is about as complex as taking sand and gravel, pour it in a sieve, and shake the sieve… and… lo and behold, there’s only gravel left in the sieve! And the gravel is big, and heavy… The sieve has selected large stuff! Hey, how do we know it was the sieve that selected the large stuff? 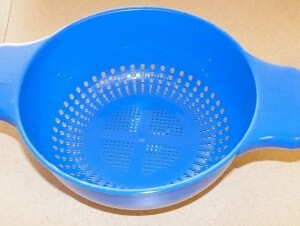 A sieve doesn’t have a mind! It must have been someone else! It must have been God!